Congrats, Spokane: You have your own scent! 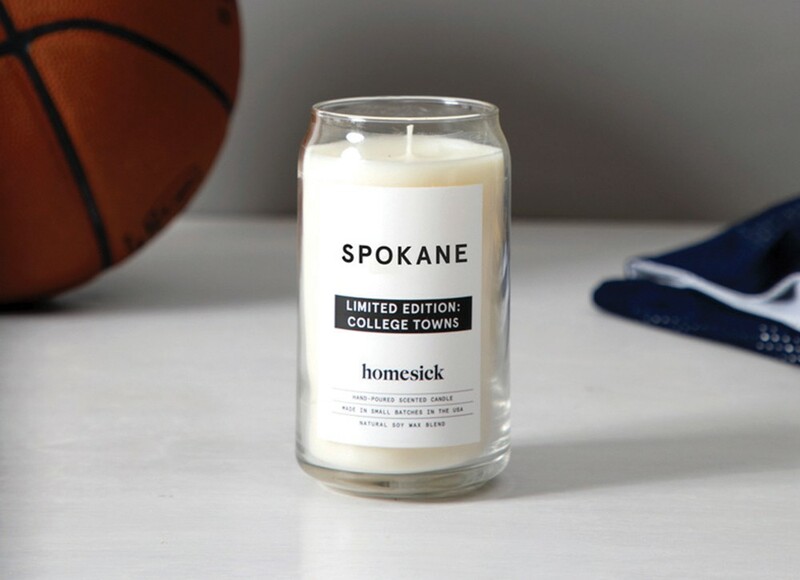 File this under yet another reason to love the Zags, whose winning ways caught the attention of BVGrowth's Homesick Candles for their latest release of their limited edition college town-inspired candles. Spokane was chosen for a commemorative scent way back in December. "The latest pool of college towns was selected... based on expected top-rated basketball programs this year," says BVGrowth President and Chief Marketing Officer John Leeman. While the Washington state candle evokes the westside with its "scent of soft downpours, steeped Earl Grey tea, and mild hints of cedar and patchouli," the Spokane scent required a lighter touch. When developing Spokane's scent, says Leeman, they looked for new plants and flowers to incorporate instead of the typical pine and fir scents used for other northwest candles. The Spokane Candle, according to Homesick's website, smells like "herbs and honeysuckle reminiscent of Centennial Trail hikes through the sunny side of the state" with notes of "carnation to celebrate fathers around the world," a nod to the founding of Father's Day by Spokane's Sonora Smart Dodd in 1910. "We considered a watery scent to celebrate your amazing downtown waterfall but difficult choices must be made!" notes Leeman. The candle, which is available online at homesickcandles.com for $29.95, is made from soy and designed to last 60-80 hours. The original print version of this article was headlined "CITY SCENTS"